Pan de Cazon is a regional specialty of the Campeche region of Mexico; a region bordered by the Gulf of Mexico on one side and Guatemala on the other. As I’m sure you can imagine, the other regional specialties of the area include some amazing seafood dishes – I know that soon, want to try some recipes like Siete Barbas and seafood tamales. I rarely get the chance to cook with great fish, and lately I’ve had a bunch of it from Catalina Offshore Products here in San Diego. These guys are incredible! I had an amazing filet of spiny dogfish shark, caught wild in Mexican waters. If you are unable to get a decent piece of shark, this recipe will also work with any white, flaky fish. I based my recipe off of this one from El Cielo Foods, but mine isn’t quite as spicy. Instead of using whole habanero peppers, I seasoned mine with a really good hot sauce. Feel free to add more if you can handle more spice than I can. In a small saucepan, heat the black beans with a little oil, and half of the cumin and chile powder, plus salt and pepper. Mash the beans slightly as they cook. Set on low heat to keep warm. In another small saucepan, sautee the onion and garlic with oil and cook for 2-3 minutes. Add the tomatoes with the rest of the cumin and chile powder. Mash the tomatoes slightly as they cook, and add the pieces of fish and the hot sauce to taste. Add the dill and half of the cilantro. Let simmer for about 5 minutes. 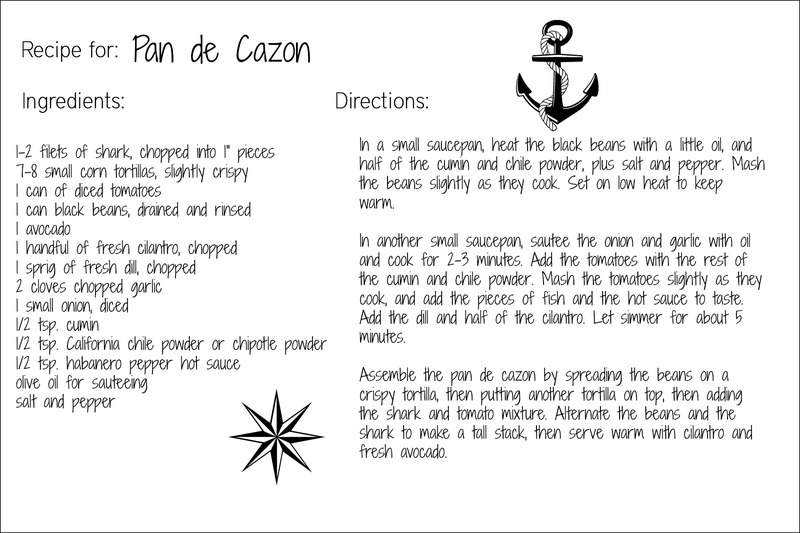 Assemble the pan de cazon by spreading the beans on a crispy tortilla, then putting another tortilla on top, then adding the shark and tomato mixture. 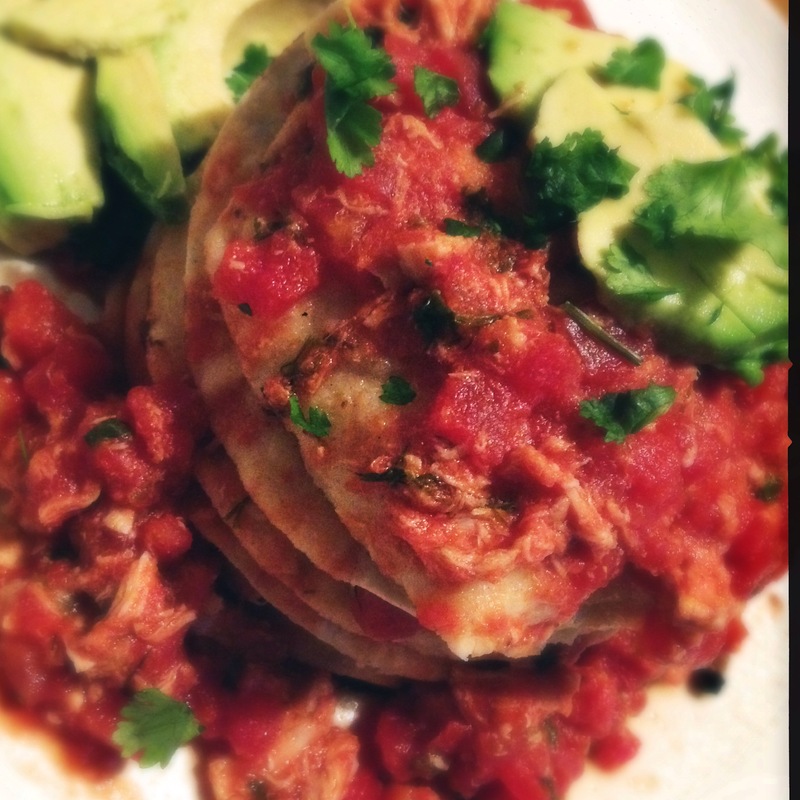 Alternate the beans and the shark to make a tall stack, then serve warm with cilantro and fresh avocado.